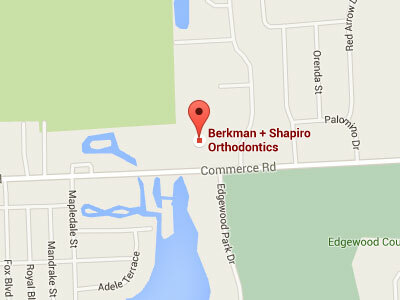 Berkman + Shapiro Orthodontics is proud to present the Outstanding Teacher of the Year 2018 Essay Contest! The winning student will receive a $100 gift card, while the winning teacher will receive free orthodontic treatment from our practice! Without education, we have nothing. Great teachers help us to gain perspective and by example show us how to see and interpret the world with wisdom. We want to bring attention to what teachers do. This year on National Teachers Appreciation Day, May 8th, it’s a privilege to be able to honor all teachers and give away a winning smile to a very special one. 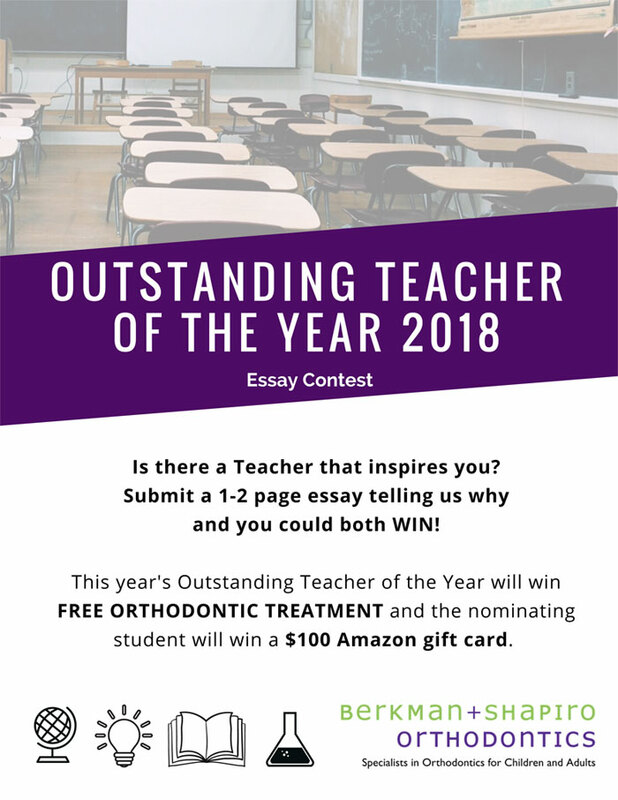 Submit a 1-2 page essay (in .DOC, .DOCX, or .PDF format to Info@outstandingortho.com or drop off a hard copy at our office) that tells us about a teacher who inspires you, has impacted the community in a positive way, or has significantly gone above and beyond for their students. The essay contest will end on May 2nd, 2018; the deadline for submissions is April 30th, 2018. “But what if I don’t need braces?” We’ve got you covered. The prize IS TRANSFERABLE – that means if you choose not to use it yourself, you can give the treatment to someone else (like a spouse, child, or family member). All submissions must be accompanied by a signed entry form to be considered. GOOD LUCK! Download the entry form and contest rules below. Once completed, please submit your essay and entry form via email to Info@outstandingortho.com (in a .DOC, .DOCX, or .PDF format only) or in person at the Berkman + Shapiro Orthodontics office.